Dr. Conrad Murray, (right) and his attorney, Ed Chernoff at today's arraignment. I now understand why the case is going to trial so quickly. According to the LA Times, Dr. Murray invoked his right for a speedy trial. Judge Pastor commented that it was unusual. I agree. Thanks to Judy for the tip. First off, I did not attend the arraignment. I knew it would be very short and I did not know beforehand if I would get a seat inside the courtroom. With those odds, I was not willing to dedicate several hours of my day to go downtown for an arraignment that lasts only a few minutes. Mainstream media (MSM) reports that jury selection will start March 28th of this year. I'm very surprised that a trial date has been set so soon. I would have expected there to be a long delay before a jury selection starts. Hey, I'm not infallible. Understand however, that this date may change once prosecutors present motions to introduce evidence at trial and the defense tries to block that evidence and, vice versa. Dr. Murray pled not guilty at today's quick arraignment. Or rather, according to E Online, he first said, "I am an innocent man." When Judge Pastor asked again for his plea, that's when he stated his plea of not guilty. Ed Chernoff, one of Dr. Murray's three attorneys gave a brief statement outside the courthouse on the Temple Street Plaza. When questioned by E Online reporter Ken Baker, Chernoff stated he did not know that Dr. Murray would make the "innocent" statement. Although many Michael Jackson fans have petitioned the District Attorney's office to increase the charges, that has not happened and I correctly predicted that would not happen. District Attorney Spokesperson, Sandi Gibbons stated that Judge Pastor is considering allowing cameras inside the courtroom. There is a pretrial hearing to hear arguments on the issue scheduled for February 7th, 2011. Dr. Murray does not have to attend that hearing. If a defendant files the appropriate paperwork with the court, he is not required to attend all pretrial hearings in the case. Apparently, Dr. Murray's attorneys have made that filing. If cameras are allowed inside the courtroom, then I would most likely not cover this case. I "may" try to attend the February 7th hearing, but that's not set in stone. Often it depends on what my personal commitments are at the time. I was surprised by the cameras and the possibility to allow them. do you think that the DA is ready for the trial or is this a tactic by Murray's defense to not give them get ready for the trial? Think about how long it took for the DA's office to bring charges against Dr. Murray. It's my opinion they were getting ready for the possibility of this move by the defense. I think they have most (if not all) their ducks in a row by now and are ready for trial. It remains to be seen who MIGHT make the first move to "push back" the jury selection date. From what the MSM is reporting, at the arraignment this morning Pastor is said to be "considering" cameras. Judge Pastor still has to RULE on cameras. He could rule on live streaming. He could rule on only video being allowed but NO live streaming. He could rule on only allowing STILL photographs...we don't know. Judge Pastor will hear arguments on the issue on February 7th. IF Pastor rules on allowing Live Streaming, then it is my GUESS that there will be news organizations that will have gavel to gavel, uninterrupted coverage of the case. No matter what happens, there will still be MSM reporters in the room to listen to the testimony and report on the highlights. Pushing for a speedy trial is what the O.J. Simpson defense team did. One reason was that Simpson's popularity would diminish over time. Another was that the prosecution would have less time to get ready. Opening statements in the Simpson criminal trial came seven months after the murders. The situation is different here. Simpson was arrested days after he killed his ex-wife and Ron Goldman. From my understanding, the prosecution took their time in charging Dr. Murray, and then took a longer time to get to a preliminary hearing. That's lots and lots of time to prepare. Diane Diamond (not a really credible or liked source) is saying the trial is set for NEXT year. This isn't true right. The date is March 28th 2011, right? "Right to a speedy trial" means, 60 (business/court) days from when the defendant is bound over for trial. On January 11th, he was bound over for trial. I haven't counted it out exactly, but I'm betting March 28th, is within the 60 court days from that date. Do you think the speedy trial was called to prevent the prosecution from doing any further investigations of others? Do you think it is possible for the prosecution to increase the charges or add more charges at this time? The speedy trial does not prevent the prosecution from continuing the investigation. It will be ongoing. You have to remember, it's been a long time since Jackson died. The LAPD, and the police have had a lot of time to do an investigation before a preliminary hearing was held and Murray was bound over for trial. I wrote about the charges and whether or not they can be increased before in my Q& A entry. For the prosecution to try to increase the charges at this time would require a NEW preliminary hearing. They cannot "up" the charges under this current charging document without seriously violating the rights of the defendant. NOTE: I have the counting of days wrong. It's CALENDAR DAYS, not court days. By my calculations, Dr. Murray is going to trial 51 days from today. That's within the 60 days required by law. My theory regarding the defense requesting a speedy trial date... Murray lost his medical license in California a couple of weeks ago right after the preliminary trial. That may jeopardize his standing in Nevada and Texas, as many times once a doctor loses his license in one state, the others will follow. Possibly they are hoping that Texas and Nevada will not proceed with anything as long as a trial date seems near (just to see where this goes). I don't know... just a theory. I can't figure out why else the rush, unless they (the defense) thinks the prosecution is not going to be well prepared. Clarification. Dr. Murray did not "lose" his medical license in California. That can only happen through the California Medical Board revoking it. The Judge temporarily took away his ability to practice in California until the charges against him are settled. The defense attorneys say that they are ready, but lets see how things play out (hammering out potential juror questionnaires, getting potential evidence ruled admissible or inadmissible) over the next 51 days. Thanks for your response and for providing the link. Based on the info on current CA law and the info revealed in the pre-trial hearings, the charges need to be increased to at least second degree murder. Since there's still the opportunity to "up" the charges during the trial, by requesting a new trial with new evidence, the prosecution needs to continue its investigations before and DURING the trial. It seems that the defense wants to speed things up to stop any further investigations and force the prosecution to focus on quickly presenting the case with what they already have. Wouldn't a petition help in pressuring the prosecution to "up" the charges as the law allows? Also, why weren't smaller charges added to increase the total prison time? As things stand at this time, the defense is working with ONLY 4 years MAXIMUM prison time which they will no doubt fight to whittle down or eliminate altogether. They basically have nothing to lose and couldn't have asked for a better scenario! Their client will either walk free, or be out in no time to collect and enjoy his big payoff, making him set financially for life, not needing his license! Jackson fans and supporters need to come out in full force and push the prosecution to "up" the charges and add smaller ones to increase the total max prison time. More than sufficient evidence already exists for the prosecution to successfully do this! What specific facts of the case that have been revealed so far, convince you that Dr. Murray actions showed "malice?" Can you please explain because I don't see it. As I see it and as I understand the law, gross incompetence in the medical profession when treating a patient, does not necessarily rise to the level of malice, so that malice murder can be charged. If you read 187 and 188 of the California Penal Code (I've added a link to it on the QUICK LINKS PAGE since I know this will come up again), to convict on first or second degree murder in California, malice must be present. What facts of the case, would prove Dr. Murray acted with implied malice, as described in the California Penal Code? As far as I can see, there are none. Fans can write letters to the DA's office, but all it will do is to make you feel like you've done something. It will not have any impact on the DA's office. The DA's office is not influenced by letters from Michael Jackson fans. The DA's office took their time in bringing charges. I believe that's because they looked at this case from every which way they possibly could and ended up charging Dr. Murray with the highest charge they could PROVE, based on the requirements of California law. I don't believe higher charges or additional charges will ever be added. If there were other charges the DA's office could add on, that would have happened in the initial charging document. I think part of the problem is, many of the people following this case are unfamiliar with the California Penal Code. They may be thinking about charges that could be brought in their own native country, and wondering why the same charge isn't happening in this case. I hope that explains why the charges won't change during trial or later. I'm hoping I won't need to address this again. 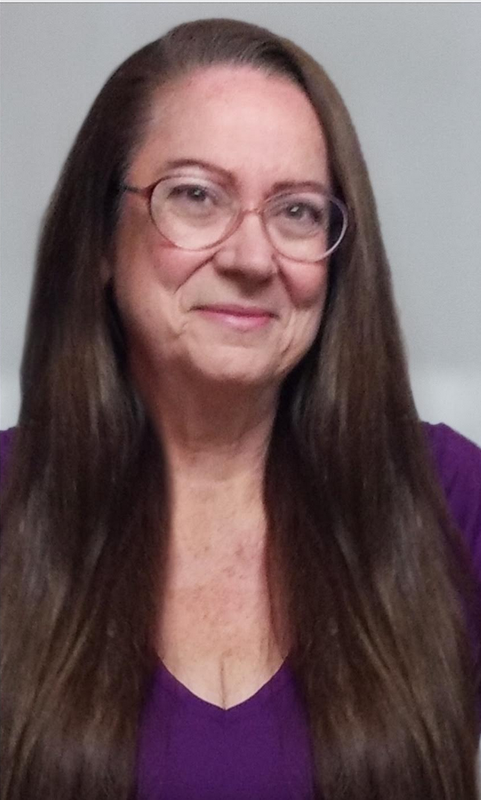 Now I'm off to add links for the California Penal Code to the Dr. Murray Quick Links Page. "It is implied, when no considerable provocation appears, or when the circumstances attending the killing show an abandoned and malignant heart." Circumstances were set up by the doctor that should NOT have existed in the first place, and were even further extenuated after the fatality. Isn't this more than "implied?" It's the difference between first degree murder 187 (premeditated) and second degree (not premeditated). Ah, the old, what constitutes a "malignant heart" and can I prove the doctor had a malignant heart. The DA's office, to charge 2nd degree would have to PROVE the doctor's actions implied malice, a "malignant heart". The doctor setting up the situation to treat a patient with insomnia, using propofol is gross negligence of his duties as a physician, but I don't see where the DA's office can prove the malice/malignant heart to qualify for 2nd degree murder/homicide. Believe you me, I'm sure the DA's office looked at this too, and tried every which way they could to present the evidence to support 2nd degree. The fact that they didn't charge Dr. Murray with 2nd degree, tells me they thought they could not prove 2nd degree. I just have to add here, that the laws governing a doctor treating a patient at home, are not the same as laws governing a doctor treating a patient in a clinic or hospital. They are not the same. There are strict laws governing patient care in hospitals and clinics. The laws are not as stringent covering patient care within homes and Dr.'s offices. It's because of current law governing those actions why Dr. Murray was only charged with involuntary manslaughter. Pardon, if this is off topic of Murray's arraignment. Am I the only one who thinks Michael Jackson had SOME hand in his own death? How much money did he dangle in front of the doctor? I am not saying this Dr. should not have known better, but it seems to me MJ bears responsibility as well. I suppose that is why the Dr. Murray was charged with "involuntary" manslaughter? By the way, I read here often (mostly on the Casey Anthony case) and love the writing style and the wonderful information on all articles! I think some of your questions will be answered in Part 3, of KZ's 4 part series. Dr. Murray has a medical responsibility to his patient. It is an un-equal relationship. Dr. Murray holds the cards to access to drugs, and patient care. Doesn't matter how much money the patient has. Sprocket, if the court allows video and, as stated,you will end your reporting, would you still post your comments and analysis of the proceedings? Would so miss T & T team comments, and KZ, if available and willing. I can't imagine anyone reading your work would feel they could really understand all of this without you. Please understand that a lot can happen in the next 51 days. I will be blown away if all parties can agree on what questions they are allowed to ask potential jurors in the next couple of weeks. Never mind the arguments concerning what is and is not allowed in as evidence during trial. We still don't know how Judge Pastor is going to rule on cameras. He could decide on Feb 7th, he could hear arguments that day and decide a couple of weeks later. Even though the defendant has requested a speedy trial, I am not optimistic that jury selection will start on March 28th. But I have been surprised before. About the issue of "malice".. One would think that a doctor who sees his patient in fatal distress in a home setting who delays calling 911 could be called malicious. Incompetence would not cover it. 3 year olds call 911 when they see someone in distress. "There are strict laws governing patient care in hospitals and clinics. The laws are not as stringent covering patient care within homes and Dr.'s offices. It's because of current law governing those actions why Dr. Murray was only charged with involuntary manslaughter." But we also know that case law is made every day around the country, so current law can change. The emails between AEG and the doctor also clearly showed shared knowledge of the circumstances. Why not add conspiracy to the charges? Why not charge the doctor with fraud for how the powerful meds were obtained? Why not let the jury decide which charges to uphold? Max 4 years is simply laughable! Everything reeks of more than just malice! Can you explain how Dr. Murray committed fraud? Please look up the definition of fraud. I think the DA's office went with what they could easily prove, not with going for the challenge of making case law. Much harder to prove implied malice in this case. Will the possible witness lists become public? The witness list(s) will become public very close to when the trial actually starts. I do know the prosecution usually releases theirs. I don't know if the defense will "have to" release theirs unless ordered to do so by Judge Pastor. I do know they will have to at least give the prosecution 24 hours notice as to "who" they will call next when they put on their case. Remember, I am not optimistic the trial will start on March 28th. Malice, n. 1. The intent, without justification or excuse, to commit a wrongful act. 2. Reckless disregard of the law of a person’s legal rights. 3. Ill will, wickedness of heart. Malice aforethought. The requisite mental state for common-law murder, encompassing any one of the following: (1) the intent to kill, (2) the intent to inflict grievous bodily harm, (3) extremely reckless indifference to the value of human life (the so-called abandoned and malignant heart), or (4) the intent to commit a dangerous felony (which leads to the culpability under the murder-felony rule). Murder: The killing of a human being with malice aforethought. Depraved-heart murder. A murder resulting from an act so reckless and careless of the safety of others that it demonstrated the perpetuator’s complete lack of regard for human life. 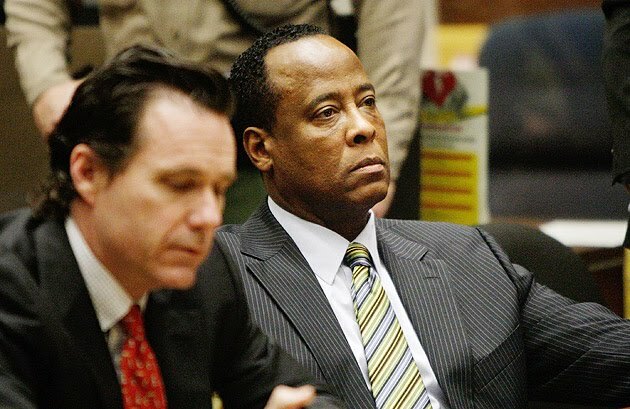 I am certain investigators combed the earth in an effort to find someone who was prepared to testify under oath that Conrad Murray said to anyone that he hated Michael Jackson and wished ill-will on him. There was no malice. Murray wanted his meal ticket to show up for rehearsal, to go to London and make lots of money. A more likely explanation of Murray’s ineffective CPR was simply this: he’d never had to do it in real-life. Believe me, watching dramatizations on television do not prepare you for those first few effective chest compressions. You have to push down HARD, nothing like you see in films. You will probably feel the ribs separate from the sternum and hear a crack. I’ve done CPR in-hospital and that’s what I experienced. Never in a hospital setting did I perform CPR on the floor. You don’t often see CPR depicted in film showing a patient being moved to the floor or being lifted long enough to put a backboard underneath to create a hard surface. In a hospital setting, there is usually a short backboard easily available to enable effective CPR in a bed or gurney, creating a firm surface. Murray was a cardiologist, and I’ve not read anywhere that he was a cardiologist who performed diagnostic or treatment procedures a la angiograms or stent placement (I’m open to being told otherwise). I doubt he was called upon to perform much if any CPR in a clinical setting—usually the physician directs care, and the actual CPR is carried out by nurses or EMTs (a respiratory therapist usually takes care of respirations, though a nurse or EMT can squeeze an Ambu bag just the same). Certainly Murray was able to read an EKG and knew the gig was up once the paramedics applied those electrodes to Jackson’s chest. Just because the deceased was famous does not mean the law can or will be re-written to make his or her fans or family happy with revenge if that death was at the hands of others. I am sure Lana Clarkson’s family wanted first-degree murder charges against Phil Spector. Jackson’s death will certainly change the way and expectations of how doctors deliver at-home care, and controls on the administration and sale of propofol.